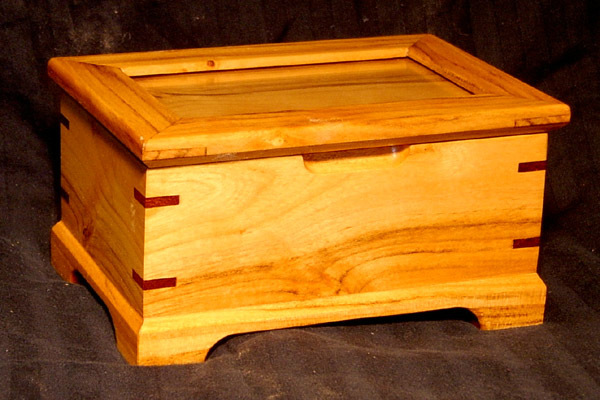 This box is all made from an ornamental Cherry tree that was rescued from a neighbors yard.. The miter keys are Bubinga. 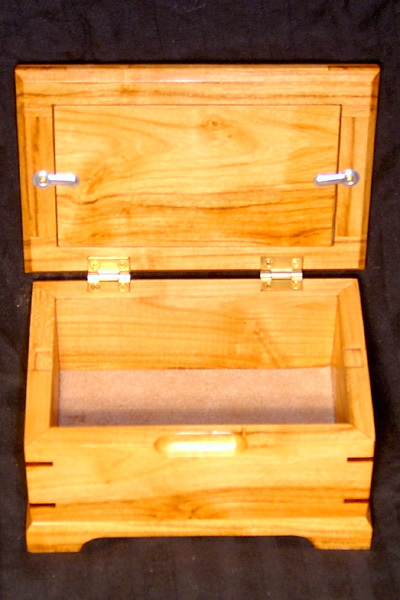 Being a type of Cherry, the box will darken with age and sunlight. The dimensions areapprox. 6"x4"x3.5" tall. 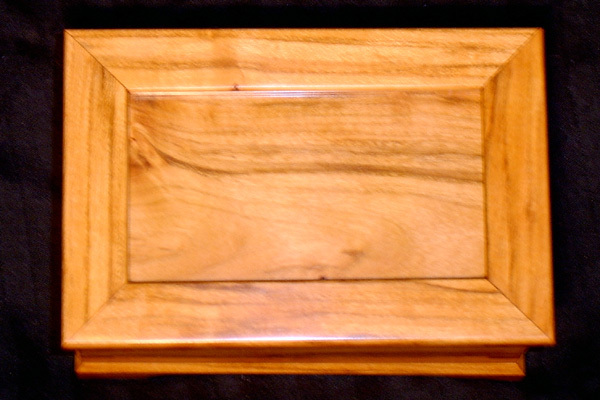 The lid is a frame style and is made to hold a picture. It is finished inside and out with a coat of drying oil. The outside of the body and the entire lid are French polished with shelac. The whole box was then buffed with a coat of Canuba wax. Hinges are made by Brusso. The liner is a synthetic suede and will not tarnish silver.